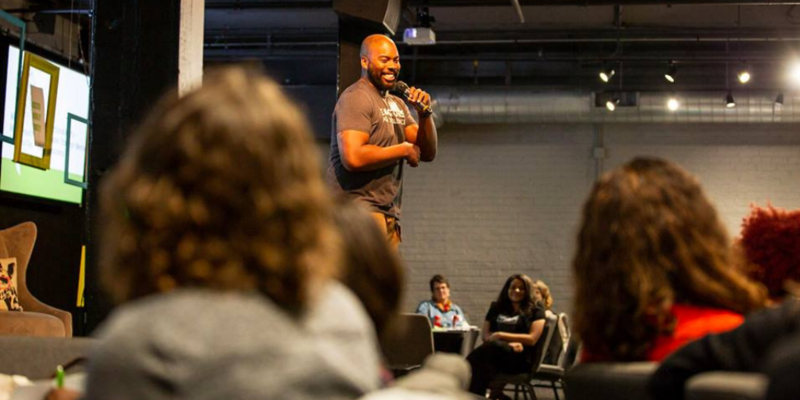 For E4E-Chicago teacher Latasha Mallory, mental health always took a backseat. “For the past 20 years, I often prioritized my students’ mental health above my own.” But she has learned that teachers’ mental health must be nurtured just as much as students’. Educator mental health is a large piece of a school’s climate and culture. E4E-Chicago educators have been advocating for school climate and culture-related issues since June 2017 when they published their educator-written policy paper, Sounding the Alarm. Nationally, 46 percent of teachers report high daily stress, resulting in lower student achievement and higher teacher turnover. Recognizing that trauma impacting students often impacts educators, E4E-Chicago members have focused on addressing educator needs this past summer. A recent E4E-Chicago survey of over 1000 educators in Chicago Public Schools showed that 72% of educators agree or strongly agree that they know how to manage their own mental health needs, but that only 51% of educators agree or strongly agree that their stress at work is manageable. 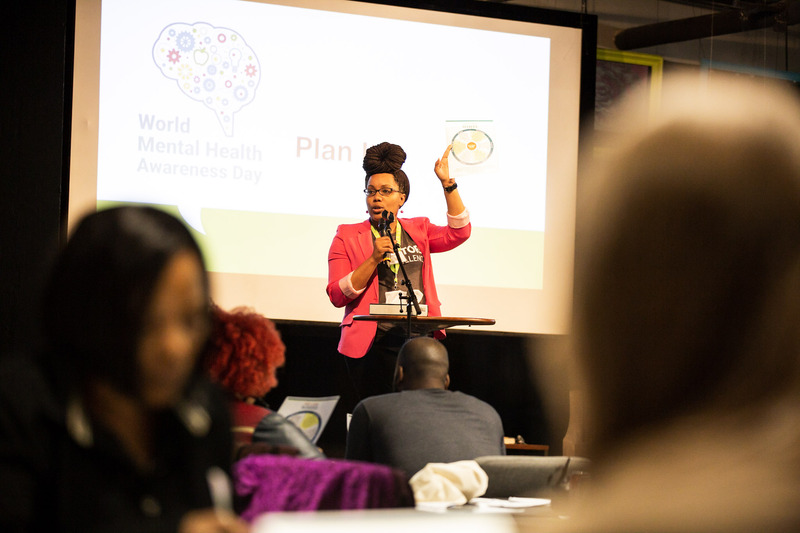 Think, Plan, Share: A Chicago’s Guide to Mental Health brought educators together from across the city to reflect and plan on how they are going to prioritize their mental health this year. 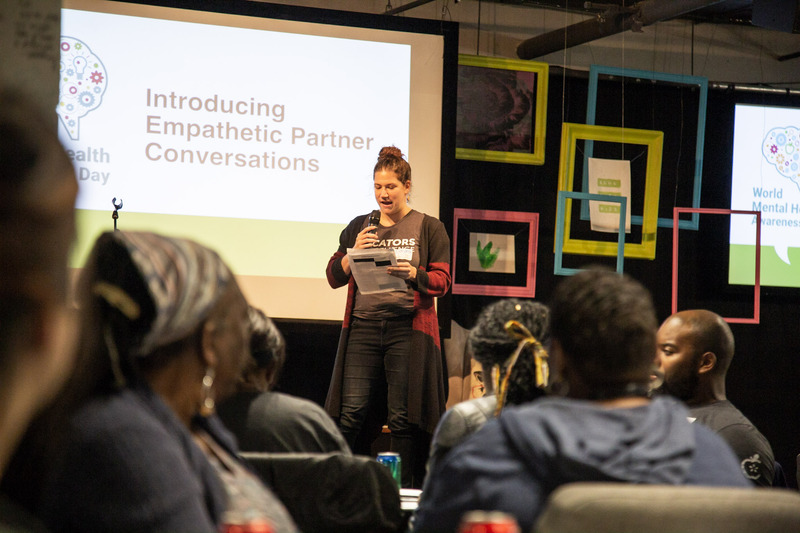 Representatives from Chicago Public Schools, the Office of Social Emotional Learning, and the Chicago Teachers Union were present as E4E-Chicago leaders emceed the event and taught other educators practical mental health skills such as how to have empathetic conversations and how to take a mindful minute.